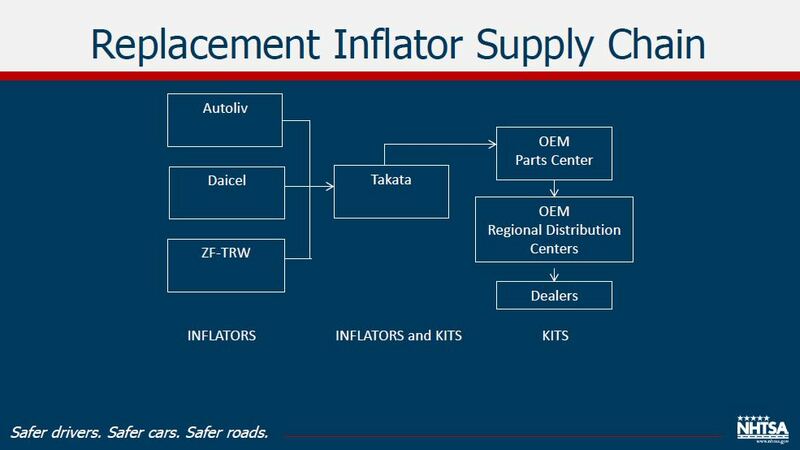 Assuming the bottleneck shifts from a supply shortage to a dearth of authorized installers, the government might allow independent repairers to install replacement Takata airbag inflators, an NHTSA official said last week. The recall affects 19 million vehicles, which is about 10 percent of all the cars in America today — and the government keeps adding more. The National Highway Traffic Safety Administration list of affected models and model years last changed Sept. 16. Not surprisingly, there haven’t been enough replacement inflators to meet that demand — and there still aren’t yet, the NHTSA said Thursday. 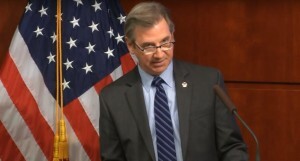 NHTSA Office of Vehicle Crash Worthiness Research Director Stephen Ridella — who used to design airbag systems for OEMs — said Thursday the agency was looking at ways to solve that. Mitchell industry relations Vice President Greg Horn during an August quarterly webinar noted the country lacked enough trained technicians to swap out the recalled units — something which the NHTSA says will have to be done twice in some cases. “Not only do we have a parts shortage, but we also have a service drive shortage of airbag-capable technicians,” Horn said. He suggested collision repairers be impressed to do the job. “That expertise does exist in the collision environment,” Horn said then. NHTSA recall management division Chief Jennifer Timian on Thursday indicated a similar shortage. However, the National Automobile Dealers Association gave a statement to Automotive News saying supply, not expertise was the problem, and another expert told the newspaper that there could be legal complications with allowing indies. “There are numerous statutory, practical, business and contract hurdles to overcome that would negate any perceived benefit of going forward with such a plan,” attorney Aaron Jacoby of Arent Fox told Automotive News in the Monday article. Citing Jacoby, the newspaper pointed out that Takata’s contracts require that Takata can only work with authorized OEM dealership and possibly can only sell to them as well. However, it seems an independent shop could presumably buy airbags from a dealership without raising contractual issues. Collision repairers in areas with both high humidity and older cars might be the first to benefit from such a decision (Miami compared to Ohio was one example given by Ridella.) The agency also assigns a higher priority to a vehicle where the passenger’s side airbag also deserves a recall; not all passenger-side airbags have the recalled Takata inflator “batwing” assembly. Those are among the factors the NHTSA says will make a region first in line for the replacement airbag inflator kits from Takata and three other airbag manufacturers allowed to craft replacements. Ridella said Thursday enough replacement kits exist for the 6 million highest-risk vehicles. Another 11 million, the largest number, are in a moderate-risk group, and 2 million more are recalled but at the lowest risk. “The remedy kits are flowing,” he said. About 2.8 million were to be shipped in October, 70 percent from suppliers other than Takata. However, not all are for the vehicles affected in the U.S. The kits are not interchangeable, and must be used in the intended model year of vehicle, he said. Still, detailed records must be kept of the specific vehicle receiving them so what Ridella called in some cases interim replacements can be ultimately swapped out again. “Tracking is extremely important here,” Ridella said. Some of the kits are “like for like” and can stand, others are a temporary fix for a “limited number of people,” according to Ridella. The government believes time, heat and humidity will eventually result in the same deterioration of the inflators into the fatal, shrapnel-discharging hazard being recalled today. 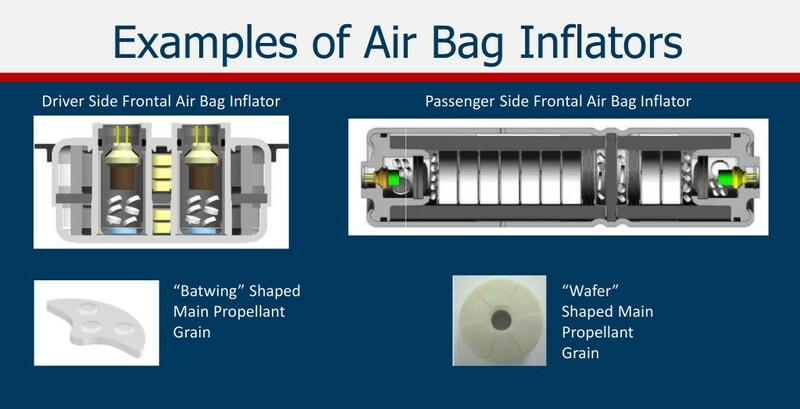 But for now, while it’s “not ideal,” according to Ridella “these temporary inflator replacements are safer” than the airbag modules in cars today. Hopefully, they can stand until the safe, permanent replacements ship. Customer apathy is already a problem towards completing the recall, and it doesn’t help that some customers will have to do the process twice. VIN numbers and the careful tracking demanded by the NHTSA will help keep things straight, but this still has potential to get messy once interim vehicles hit salvage yards; untrained, unfranchised dealerships, or get in another wreck and need airbags replaced again. (And what happens if the car receives another interim unit?) Every aspect of the aftermarket should be aware of what’s going on and help keep the apathetic customer safe. Timian stressed that customers shouldn’t buy airbag parts from anyone other than an authorized OEM dealership, a practice recently highlighted by a New York settlement with an salvage parts distributor. The Thursday NHTSA warning seems like it would only grow in importance as time and climate continued to deteriorate recalled and interim airbags. The Automotive Recyclers Association has sued Takata for reducing the value of recycled vehicles, though even salvage vehicles can receive replacement airbags, according to the NHTSA.